Speaking to a Kingston & Knight Audit auditor Melbourne is the first step toward taking control of your superannuation. An SMSF (self-managed super fund) enables you to decide where and how your retirement funds are invested, allowing you to avoid some of the common pitfalls of public and private super funds. If you use an SMSF, you need to have your fund audited each year by an ASIC-approved SMSF auditor. As SMSFs are regulated by the tax office, SMSF trustees are also required to submit a special SMSF annual return for each financial year. Before the SMSF annual return can be lodged, your SMSF must be audited by an approved auditor that provides an SMSF auditor’s report for your fund. As part of the regulatory framework governing SMSFs, an SMSF auditor must be independent of the fund. This means that they should not have prepared the financial statements for your fund, and can’t be related to any of the fund’s trustees. These obligations are easily met when you use leading SMSF auditor Melbourne services provided by Kingston & Knight Audit. Managing your own superannuation can liberate you from the degree of uncertainty associated with commercial super funds, often criticised for their lack of transparency and hidden fees. Setting up a self-managed super fund can be a complex process, and involves a number of responsibilities and considerations on your part. SMSFs are regulated by the Australian Securities and Investments Commission and subject to a range of administrative standards and financial reporting requirements. The responsibilities associated with establishing a self-managed super fund include legal obligations. For example, you as an individual are responsible for the fund’s investments and activities, even if you obtain professional help to set up and/or administer the SMSF. For this reason, it is vital that you obtain assistance from an experienced SMSF auditor Melbourne team such as Kingston & Knight Audit. Kingston & Knight Audit’s SMSF auditor Melbourne services enable you to obtain rapid, reliable SMSF audit services that put you in control of your retirement. Our ASIC-approved, independent SMSF auditors have over forty years’ collective experience providing professional financial services here in Melbourne. When you contact us about your annual SMSF audit, we will work with you to establish the timeline in which you require your SMSF audit outcome. If your SMSF is managed by a fund administrator, we can liaise with them to establish a timeline for your SMSF audit. We are committed to preserving the freedom that comes with managing your own superannuation. Whilst we work hard to ensure that your fund is 100 percent compliant, we will provide you with an SMSF audit checklist so you understand what the audit process entails. Kingston & Knight Audit understands the vital role that your annual SMSF audit plays in developing your retirement funds. For this reason, our Melbourne SMSF auditors have the capacity to complete your audit and provide an Independent Auditor’s Report (IA) with a rapid turnaround. As an ASIC-approved SMSF auditor Melbourne service, our experienced financial auditors can perform your annual SMSF financial and compliance audit. By law, each SMSF is required to obtain an independent auditor’s report from an approved SMSF auditor each financial year. Your yearly SMSF Independent Auditor’s Report must be submitted to the ATO before you are able to lodge the SMSF annual return for your fund. The approved process of conducting an SMSF audit, including the provision of the Independent Auditor’s Report, requires SMSF trustees to appoint an approved auditor at least 45 days prior to the due date of their SMSF annual return. When you contact Kingston & Knight Audit’s SMSF auditor Melbourne team, we will get to know you and your fund during the initial consultation. Based on your expectations regarding the timeframe of your SMSF audit and any particular areas of concern to you regarding the audit process, we can then begin to discuss the documentation you will need to provide. A Melbourne SMSF auditor requires access to your SMSFs financial records in order to conduct the SMSF audit. Under the regulations that govern SMSF audits and the requirements for Independent Auditor’s Reports, your Melbourne SMSF auditor must provide trustees with the finalised IAR within 28 days of gaining access to the relevant financial records for that fund. We can discuss a desired timeframe based on the circumstances of your SMSF audit, such as how close it is to the due date of your SMSF annual return. In any case, the maximum turn around on any approved SMSF auditor’s Independent Auditor’s Report is 28 days. In the event that additional documentation or information is required in order to conduct or finalise your SMSF audit, trustees are required to provide the requested information within 14 days of receiving a request in writing from their Melbourne SMSF auditor. However, here at Kingston & Knight Audit, our emphasis on communication and client-focused service ensures that we do everything we can to make the process easier for you. Since 2013, each SMSF must undergo a yearly audit performed by an ASIC-approved SMSF auditor. This mandatory requirement has resulted in SMSF auditors finding themselves in the role of regulated, accredited financial professionals. Naturally, this has lead to increased numbers of financial professionals seeking registration as approved SMSF auditors. This increased competition, in addition to rapid advances in financial software and technology, has resulted in greater accountability, professionalism, and customer service available to SMSF trustees and directors. It is no longer the norm to expect overpriced services and long turnaround times on SMSF compliance audit services. This progressive response to changes in our industry and your retirement options ensure that you receive a fair and accurate price for your SMSF compliance audit. We ensure that you never pay for services that you don’t need. Part of the reason for establishing a self-managed super fund is that it removes the fees of larger funds. 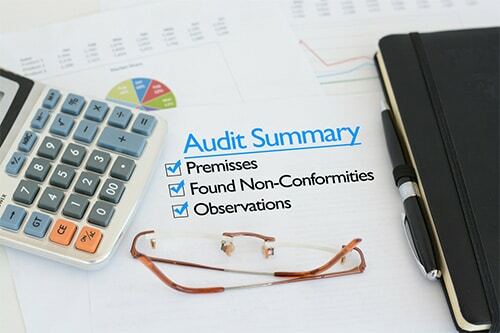 Kingston & Knight Audit understands that the role of an approved SMSF auditor is to preserve the freedom to control your own finances by having access to competitively-priced, efficient audit and compliance services. It is this philosophy that we look forward to demonstrating during your next annual SMSF compliance audit. SMSFs are a type of private, regulated superannuation fund used to invest and manage retirement funds here in Australia. Self-managed super funds exist in the form of a regulated tax structure which may only be used for the purposes of managing retirement income. As the name suggests, an SMSF is registered in the name of the trustee or trustees whose superannuation is being invested through the fund. An SMSF may have up to four trustees, with each trustee assuming equal responsibility for the management of the fund and its compliance with laws and regulations. SMSFs are regulated by the Australian Tax Office (ATO) and must be administered in-line with the relevant laws and regulations. The Australian Securities and Investments Commission (ASIC) determines what constitutes a compliant SMSF as well as who is able to provide financial services (e.g. SMSF auditors) to an SMSF. Although technically an SMSF is ‘self-managed’, the complex financial reporting obligations and specific taxation requirements that apply to SMSFs mean that professional assistance is often required to set up and administer your fund. For more detailed consumer-focused information direct from the corporate regulator, you can view ASIC’s consumer information guide for self-managed super funds. What are my obligations as an SMSF trustee/director? SMSFs are regulated in a similar way to other superannuation funds, such as the large private and public funds that the majority of Australians use to manage their retirement income. The key difference is, the burden of responsibility falls on the trustee/s of self-managed funds. This means that if you set up a self-managed super fund, or have one set up for you, you are legally responsible for the investments and activities associated with the fund. Due to the strict regulatory requirements that apply to SMSFs, the annual expenses associated with these funds can be high. However, for most Australians who choose to use an SMSF, their superannuation balance is high enough to render these costs as relatively insignificant. Moreover, the potential growth and return on investment are often greater when a well-managed and compliance SMSF is used to grow your retirement nest egg. Legal responsibility for the fund. As an SMSF, it is not separate to your finances and individual property in the same way that traditional super fund balances are. Prepare a budget which you will use to obtain professional financial advice and assistance. This is vital to setting up and managing a compliant SMSF. Assistance from financial professionals, such as approved SMSF accountants and SMSF auditors, is key to obtaining optimal superannuation results when you retire. Ensure that you are prepared to arrange an annual audit of your SMSF. SMSF audits can only be conducted by approved SMSF auditors. Have a plan, or at least a solid idea, of how you would like to invest your superannuation. This ensures that the fund will be off to a solid start and that you (as trustee) are aware of where your money is going. To conclude, the many benefits of managing your own superannuation come with significant responsibilities attached. You need to remember that you are liable for the fund’s compliance with laws and regulations. This makes it all the more important to obtain assistance from reputable financial professionals when setting up and managing your SMSF. Our SMSF auditor Melbourne services enable you to obtain the benefits of SMSFs along with the peace of mind that your fund is 100 percent compliant, effective, and efficient. A common question posed by those considering the possibility of establishing an SMSF is whether or not the SMSF is going to outperform other superannuation options. The primary contributor to the performance of traditional superannuation funds is the quality of their financial management practices. Super funds employ financial professionals to manage the investment of your superannuation. Some consider this to be the primary benefit of traditional super funds over the SMSF option. However, you are able to obtain professional financial advice and assistance in setting up and managing your super fund. In this sense, you are not missing out on the tools and skills that go in to traditional superannuation management practice. In fact, you are likely to obtain more focused advice which suits your goals and expectations when using an SMSF. For example, here at Kingston & Knight Audit, our SMSF auditor Melbourne team builds direct working relationships with our clients. We get to know you and your vision, and this drives us in our pursuit of the best compliance and financial outcomes for your SMSF. The primary benefit of creating an SMSF for your nest egg is the control it gives you, both in the present and moving forward to retirement. Though this added responsibility is not for everyone, for those that embrace it the benefits are numerous. By engaging directly in the investment of your superannuation, you may actively explore opportunities that traditional funds do not. It’s a tough task to keep abreast of all the regulatory developments and market changes affecting superannuation funds in general, and SMSFs in particular. Whether you are seeking to establish your next routine SMSF compliance audit, or want to learn more about establishing an SMSF, our Melbourne SMSF auditor team is here to help. Let us take the hassle out of your annual SMSF audit. We guarantee that your Independent Auditor’s Report will be finalised rapidly following your submission of documentation, allowing you to submit your annual return and get back to planning for retirement! To find out more or to arrange an initial free telephone consultation, contact our Melbourne SMSF auditor team on 1800 283 471 or via email at audit@kingstonknight.com.au.